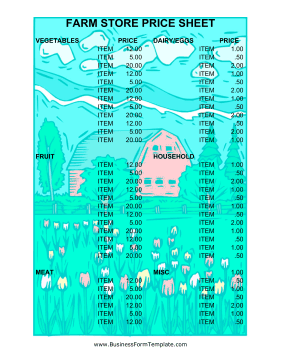 This farm store price sheet can be used to list all the items you have for sale in your farm store. Divided sections will make the sheet easy for potential customers to read. This form can also be useful for helping employees remember prices.